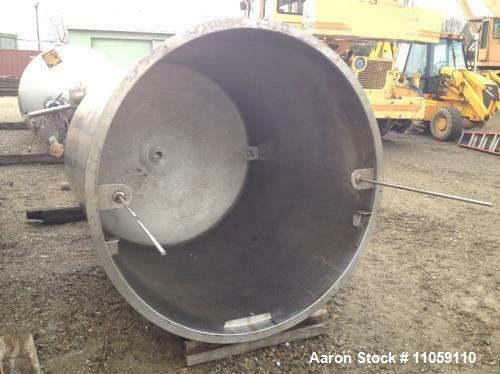 Used- 1,100 Gallon Scott Turbon Stainless Steel Tank. Open top with dish bottom. 5'6" diameter x 6' T/T, 11'10" OAH. 3" outlet with Lee ball valve. Approximately 3/16" wall thickness.